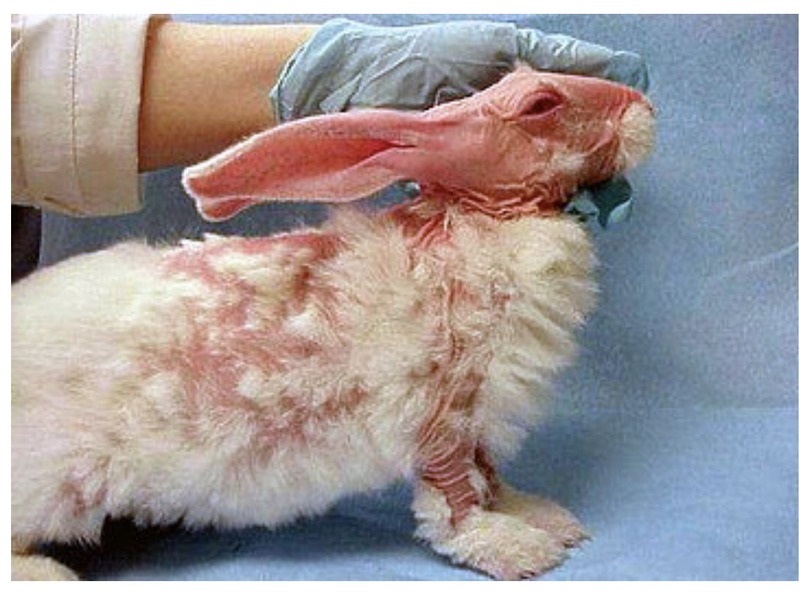 PLEASE sign the Care 2 Petition to support The Humane Cosmetics Act! Speak up for animals! Representative Martha McSally (R-AZ) was joined by Representative Don Beyer (D-VA) earlier this week to re-introduce legislation designed to phase out and ultimately end the practice of testing the safety of cosmetics on animals in the United States. 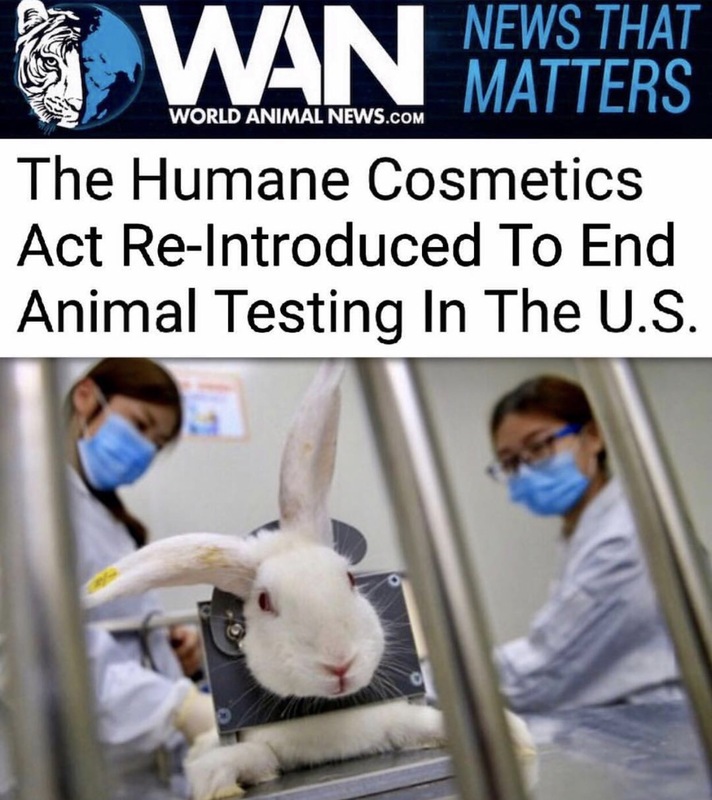 The Humane Cosmetics Act would prohibit the selling or transporting of any cosmetics in interstate commerce if any component of the final product was developed or manufactured using animal testing, explained a Press Release that was issued on June 6th. Care 2 is among those leading the charge for this bill, which unfortunately did not pass out of committee in the 113th and 114th Congress, to gain momentum in the 115th Congress. 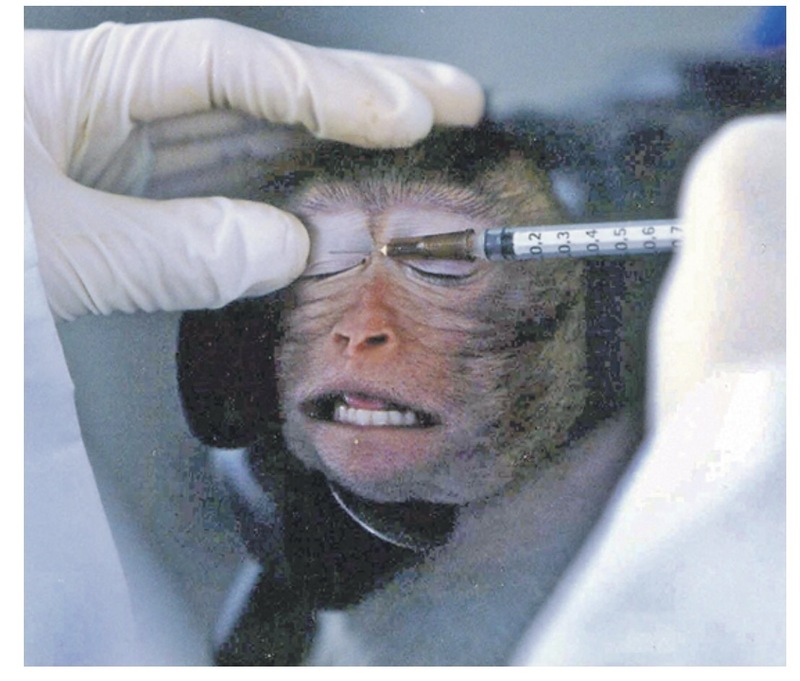 The organization further explained that despite the fact that animal testing is not required by the Food and Drug Administration (FDA) or the Product Safety Commission in the United States, many companies continue this inhuman and unnecessary practice. More concerning, Care 2 stated that some products that are labeled as “not tested on animals” or “cruelty-free” may, at the ingredient level or at certain stages of development, have been tested on animals by other companies; making it even more confusing and frustrating for people who are trying to make compassionate choices. While the exact number of animals who have been subjected to this abhorrent treatment is unknown because the Animal Welfare Act does not require that all laboratory animals used in the U.S. be reported, it is sadly estimated to be in the millions. The European Union, Israel, Norway, Switzerland, and India are among the countries that have already implemented bans on animal testing and the sale of animal-tested cosmetics. Currently, according to the release, 700 cosmetic brands in North America abstain from testing products or ingredients on animals, and instead use other affordable, proven methods of testing and innovate with thousands of ingredients already proven safe for human use. The legislation has been endorsed by 195 companies in the cosmetic industry, and the Humane Cosmetics Act is supported strongly by Republican and Democrat co-sponsors. Please show your support by signing and sharing the Care 2 petition urging Congress to pass the Humane Cosmetics Act. To find cruelty-free personal care products and cosmetics that have been certified by the Leaping Bunny program, visit Cruelty Free International. To donate directly to the non-profit organization’s efforts to end animal experiments worldwide please click Here! Yulin Dog Meat Eating Festival Has NOT Been Cancelled! 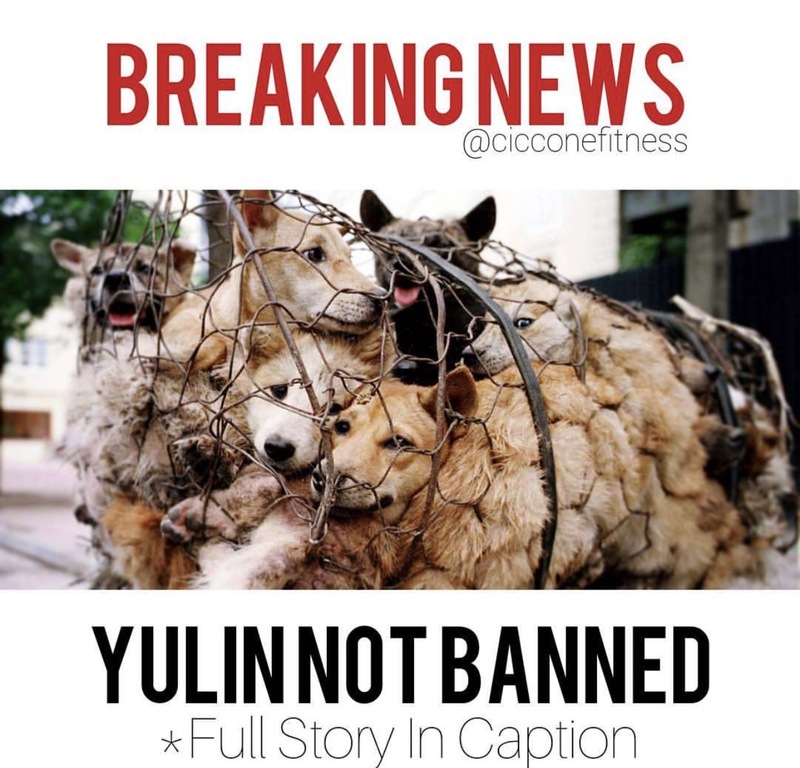 Many animal rights activism groups have recently been posting that the horrific and cruel Yulin Dog Meat Eating Festival, where thousands of dogs are brutally tortured and killed in China, has been cancelled. This is sadly not the case. Please read below for more information and get involved to help! Marc Ching of The Animal Hope and Wellness Foundation met with the Yulin Government to speak about the ban on dog meat sales during the festival, and publications claiming the Yulin Dog Meat Festival is over. In a direct statement from the Yulin Political Affairs Director and the Yulin Chief of Police – “There is no ban on dog meat sales during the festival as some animal rights groups have claimed.” Government officials made it very clear that they are not in support of the festival, but have expressed they can do little in regards to opposing what the people want. Mr. Ching of AHWF also met with the Yulin Food and Drug Administration, which oversees dog meat sales and food quality control of meat within the city. In a direct statement from their officials to Animal Hope and Wellness – “There is no current or proposed ban on dog meat sales during the festival.” In an effort to speak with the people, Mr. Ching and Suki Su of AHWF went to the two largest dog meat markets, DongKuo Market and NanQiao Market. In conversations with over twenty dog meat vendors, no one had knowledge or was aware of any pending or proposed dog meat sales ban. Marc also met with the owner of one of the largest slaughterhouses in Yulin who claims the festival is still happening, and that “his” sales during the festival this year will reach over 2000 dogs. “Restaurants have already begun putting in orders, and trucks will start their travel to the province,” he stated in conversation with Mr. Ching. Please consider donating to the Animal Hope and Wellness Foundation so that rescue missions can continue to happen! Share this information on social media and sign petitions! This festival MUST come to an end, once and for all! It’s the end of October, and here are some vegan treasures that I’ve found! 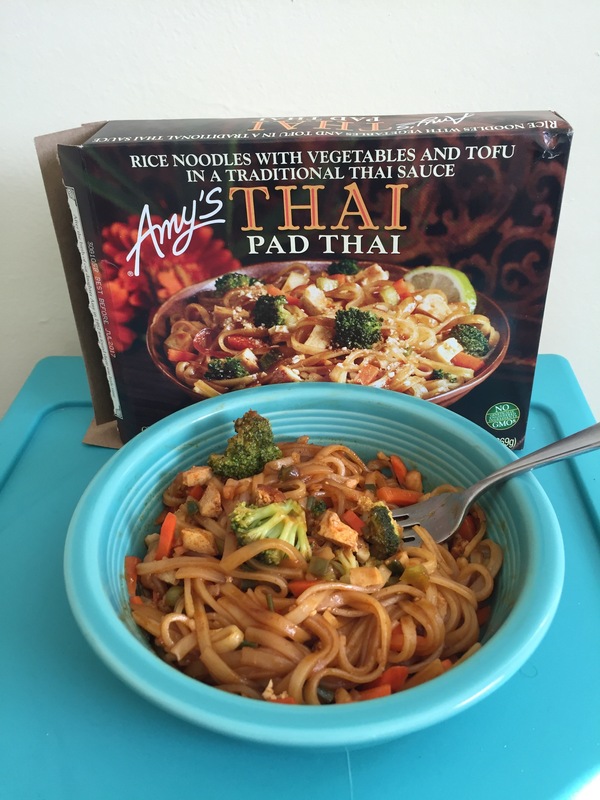 First up, is Amy’s Pad Thai! For about $3, this is way cheaper than going out for Thai food, and it’s really not too far off when it comes to flavor. Tender noodles, carrots, broccoli, peanuts, and tiny cubes of tofu, in a tangy and sweet sauce. Loved it! 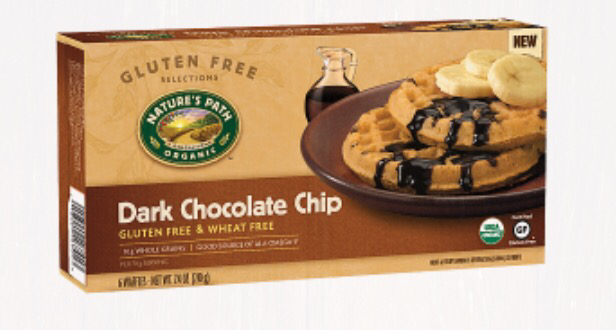 Next, is Nature’s Path Dark Chocolate Chip waffles. These babies are gluten-free and organic, and have the richest dark chocolate chips in them! I baked mine up in a convention oven until they were super crispy, then added some coconut oil and pumpkin pie spice… So so good! They were equally delicious with peanut butter. I’ll definitely be getting these again. Next, is Kiss My Face Flouride Free Triple Action Gel. I’ve been looking for a Flouride free toothpaste for awhile (read up on the effects of Flouride), and was really hoping this one would get the job done. Well, it did! I’ve been using it for a month, and my teeth feel clean and my gums feel healthy. This gel formula contains Xylitol, tea tree oil, silica, peppermint, and Zinc Citrate, to do what traditional toothpastes do, but without the side effects. I really like nice mild mint flavor and will continue to use this for a long time! And last on my list has been a long time favorite turned unfavorite … As you might have heard, Ellen DeGeneres, animal rights advocate and vegan, shockingly started a shoe line that included leather. For the life of me, I do not understand this, and sincerely hope that she changes this very, very soon. To make matters worse, it appears that she is pairing up with the worst people in Hollywood, that happen to be a couple (I will not put their names in my blog), and selling more items made of animal materials. What. The. Actual. Hell.? I will not be watching her show again, that’s for sure. Read more below. Well, that does it for me. I’ve been really busy this month since I’m moving to Asheville! There are plenty of Veg restaurants there, so you’ll be hearing from me soon!